Get in touch with a county member. 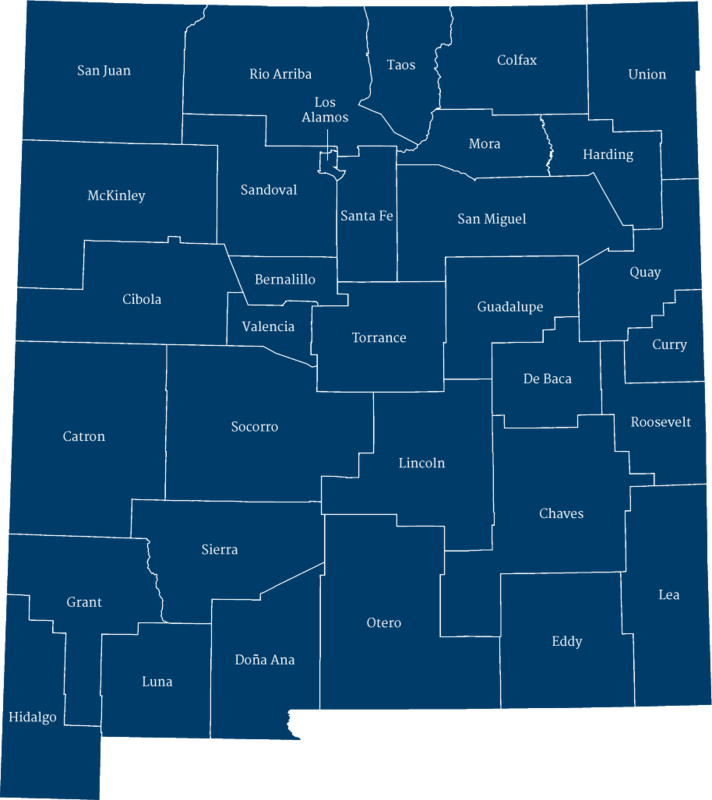 Select a county to see news, employment opportunities, and learn more about the county's history. President Elect Sheriff Mark Cage, center, w/Governor Michelle Lujan Grisham, Cabinet Sec. Mike Sloane, Olivia Padilla-Jackson, and John D’Antonio. Counties are encouraged to submit comments on the EPA and Army Corps of Engineers’ new Waters of the U.S. rule by April 15. PERA Board of Trustees County Appointment Available – Deadline is Friday, April 26th at 5:00 p.m.